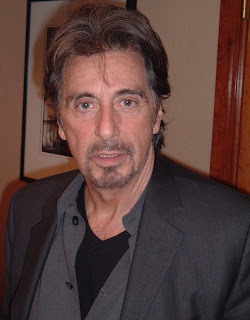 Alpacino in 'scent of a woman' - amazing performance - retired army man, blind through out the movie, super attitude, "get me 2 john daniels on the rocks" . Deniro in 'raging bull' - boxer (Jake Lamotta) - sadomasochistic rage, sexual jelousy, best anti-hero movie ever. 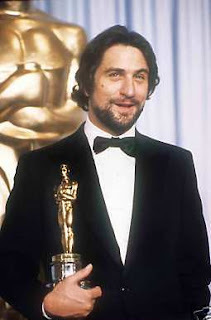 a martin scorsese(god of all directors) movie, but without deniro it would have been too dark! Deniro in 'the taxi driver' - a young taxi driver who turns out to help a young girls out of a problem - amazing story - again a scorsese film, but deniro stole the show. his calm and composed attitude in this film was simply superb. any besides who can forget the legendary "you're talking to me...?" Alpacino's best (my opinion) - Scarface - have you played GTA vice city? if you have, then you'll love this movie and vice versa. even otherwise this movie is totally lovable. 100% amazing. story about a cuban refugee (al pacino as tony montana - tommy vercity in GTA) coming to america and becoming a huge drug dealer/don. 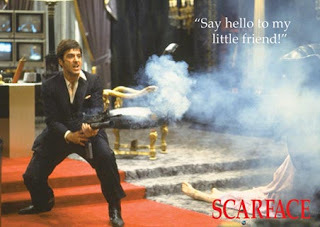 Al pacino at his best. he redefined the word 'cool' in this movie. any al pacino fan will have this movie in his top 3. this movie is a must watch. 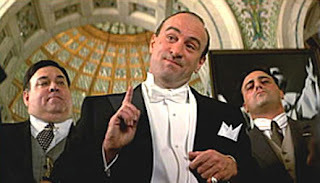 Robert Deniro - as Al capone in 'the untouchables' - he comes as this italian-american gangster - he makes you think that he's the don of all dons. godfather can eat his socks!!! Al capone's the best. though he's not the lead role in this film, he steals the show. my favourite among all roles played by him.say sanjay dutt copied his style from him in this movie. having seen all this, now I am in a sivere dialemma to chose one among the two... ok lets see the other parameter. 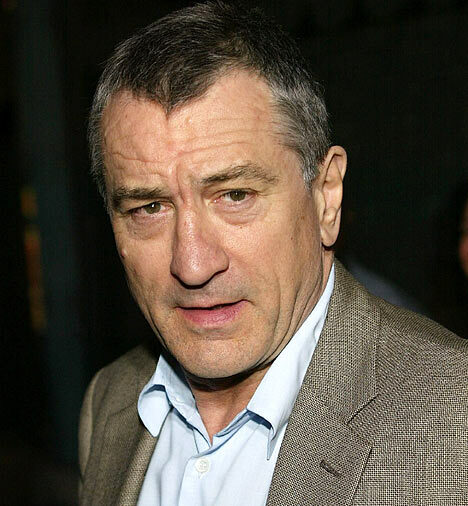 looks - deniro is definitely more charming than alpacino. evident from movies taxi driver, godfather part 2 where he plays young vito corleone etc. From now on... he'll be my favourite actor. dear Mr Al Pacino: pls dont worry. you'll be in the 2nd spot.